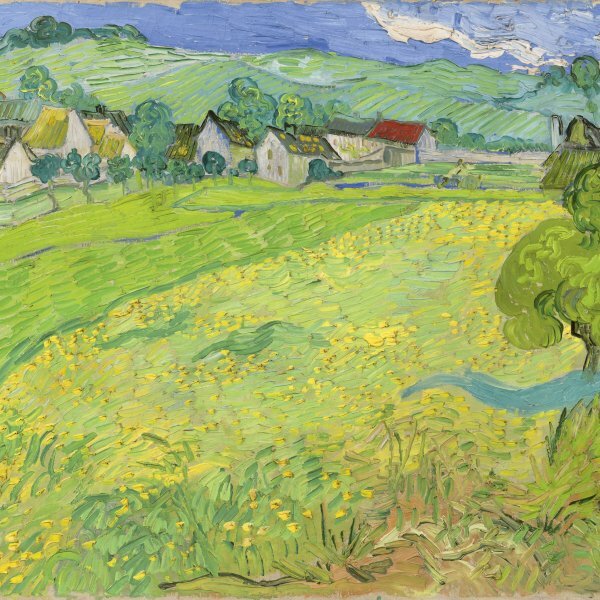 Once he had completed the first painting on canvas, Vincent decided to produce a lithograph on the same subject and for this purpose procured a lithographic stone from the workshop of the father of Dimen Gesten, a pupil of his in Eindhoven. 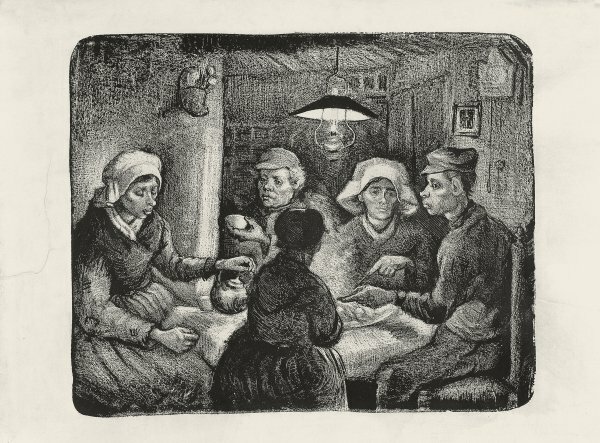 In just a day Vincent transferred the image of the Potato Eaters directly onto the stone from memory, without using preliminary drawings, and the figures are therefore reversed in the print on paper. Unlike the painting, the entire composition appears to be illuminated by an almost magical glow. Van Gogh printed only one state with an edition of twenty lithographs, with the aim of presenting them to his friends and pupils as gifts. “That lithograph won’t be for publication, anyway, but is entirely a private affair, ” he wrote to his brother. Juliana Montford has managed to identify eight, one of which is that belonging to the Museo Thyssen-Bornemisza.